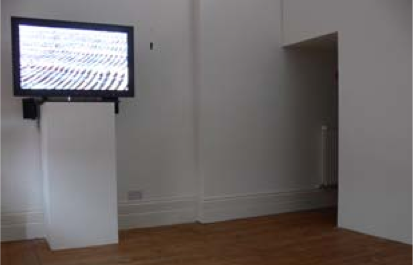 Exhibited at SIA Gallery, London, UK. AMBIVALENT TRUTHS conveys, through works of art, the manner in which local political situations, related to the recent history of South East Europe, are seen and interpreted within a global context. A personal reflection on the meaning of truth is conveyed in the work of four artists originating from the Western Balkans; the resulting ensemble of artworks powerfully reflects the ambiguity of the notion of a singular truth. The exhibition likewise raises the issue whether such situations of ambivalent truths are particularly related to the West Balkans, or whether they are mirror images of parallel situations and conditions in other geographical coordinates around the world. In this way, the project aims to promote a higher level of understanding and tolerance in inter-human relationships. Let us therefore classify this exhibition as THE LAST GEOGRAPHICALLY DEFINED EXHIBITION. AMBIVALENT TRUTHS RESEARCH The exhibition itself is seen as part of an open-ended project and process that aims, through several steps and stages (Research, Exhibition and Archive) to broaden the public awareness of the post war situation in the Western Balkans. The Archive consists of the collection of international media coverage of the political, historical, ethnic, cultural and religious aspects relevant to the conditions and situations within which the exhibited works of art were created. This research will form a part of the exhibition at the gallery for the duration of ‘Ambivalent Truths’’. It will subsequently be stored within the Gallery Archive and made available for consultation by appointment only. * The exhibition also highlights the absurdity of perceiving artists as representatives of a particular national or geographical region. This issue is raised in the list of contributing artists, by methodically positioning the name of the artists’ country of origin prior to the personal names of the artists. This forceful act, based on assumptions about the artists’ national sense of belonging, religious and political orientation, aims to enable a meaningful dialogue within the realm of culture. Culture remains one of the ‘only places’ where such dialogue can be hosted. Study of my Father, a Relation to the Origin, Ivan Grubanov, 2004. (S) Ivan Grubanov, currently an artist-in-residence of Delfina studios in London, works in various mediums predominantly with videos and painting and has become well known for his pencil drawings. 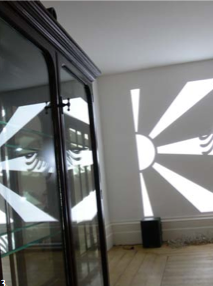 He has exhibited internationally and is currently part of the group exhibition ‘Around the World in Eighty Days’ at the ICA & SLG, London. His major solo shows were at Stroom, Hague and at the Museum of Contemporary Art, Belgrade. He has participated in numerous group exhibitions, recently including ‘Off-Key’ at the Kunsthalle, Bern, ‘Interupted Histories’ at Moderna Galerija, Ljubljana, etc. Essays about Grubanov’s work can be found in the forthcoming issues of ‘Contemporary’ and ‘Afterall’. In STUDY OF MY FATHER, A RELATION TO THE ORIGIN, Grubanov’s narrative composes an intricate juxtaposition: images of a dominant father figure, representative of a particular historical and political heritage, are followed by portraits of Grubanov himself and his brother. They too, embody this heritage, while at the same time carrying the aura of a different, newer era. Interspersed with these portraits, depicted within a typically domestic environment, are images of street demonstrations and the bomb-damaged city that give expression to an unsettled reality. 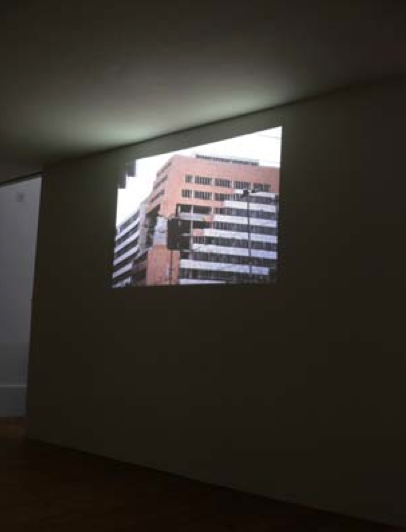 Grubanov’s eye gazes sharply on his father’s as well as his own vision of truth, while at the same time shifting the viewers’ established interpretation of truth in relation to a singular political and geographical reference – the NATO bombardments of Belgrade in 1999. Show Room III, Zaneta Vangeli, 2002-06. (M) Zaneta Vangeli is one of the key figures of the South Eastern European art scene. Working since the late 80’s, she has almost single-handedly established the foundation for the contemporary art scene in the region. 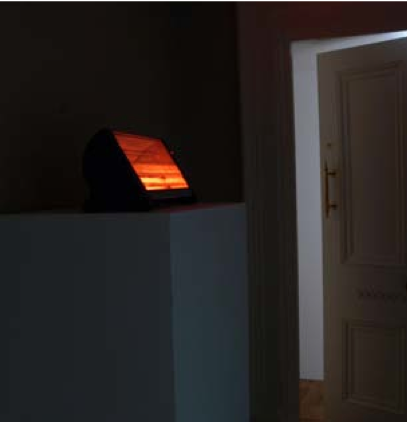 Working predominantly with installations and the video and film medium (including full length feature films), Vangeli has had numerous solo and group exhibitions, both locally and internationally. She represented Macedonia at the Venice Bienalle in 2003. 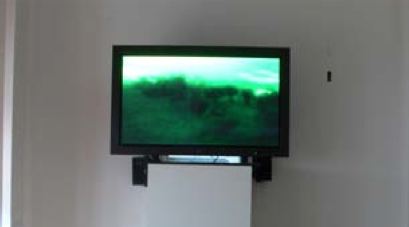 The project SHOW ROOM III is a cycle of works realized between ‘02-‘06, consisting of several installations, which incorporate video, objects and photography. All of the works incorporated in this project are focused on various aspects of global contemporary political processes. Zangeli looks at geographical and territorial interests as a provocation for political and economic interventions. 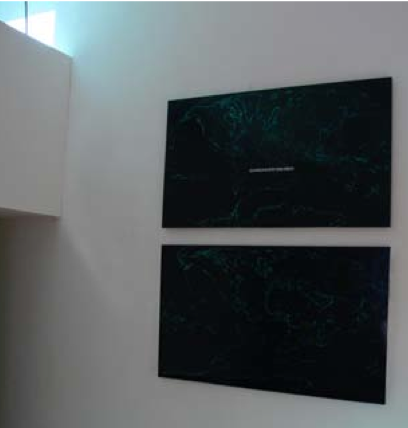 A motif which interweaves throughout Vangeli’s work, is the use of words and phrases to describe particular concepts, juxtaposed with an image in the background. “Chronofetishism vs Geofetishism” is an example of this approach and is a phrase that has come to define this particular exhibition. The video ‘RealKunst or Essential Harvest’ was initially a part of her exhibition at the Venice Biennale and will be presented in London for the first time. In Search of Justice, Nada Prlja, 2006. 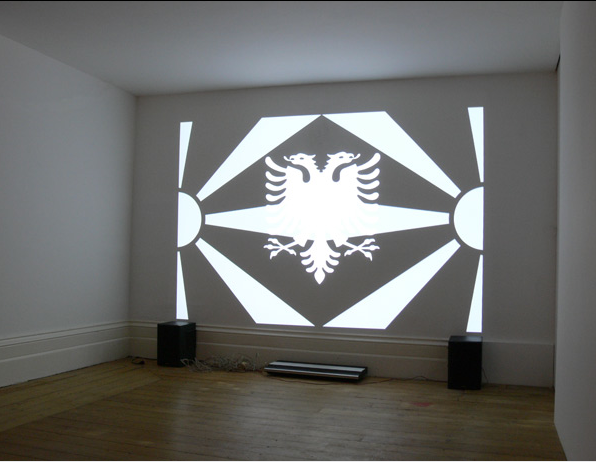 (M) Nada Prlja is an artist living and working in London, where she graduated from the RCA with a research degree. 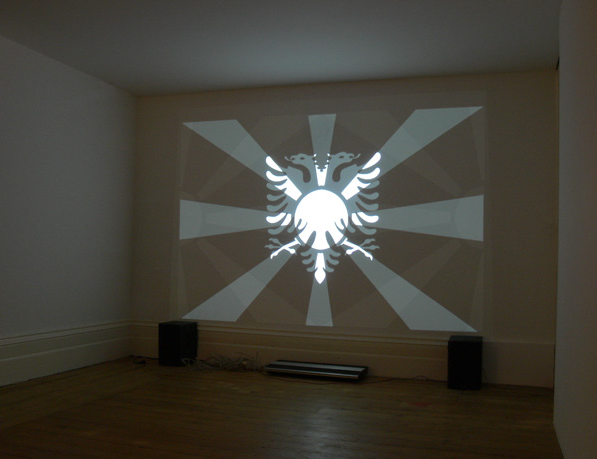 Prlja has exhibited internationally and has recently initiated the Serious Interest Agency to explore and question notions of the new European identity. Her current project, the ‘Advanced Science of Morphology’, consists of 26 combinations of the national flags of the states that once made up Yugoslavia. This public art work, commissioned by the curatorial group B+B, replaces the flags of the EU member states in the Marble Arch park . On June 7th, the flags will be installed in the exhibition ‘The Sweetest Dream: Unity and Dissonance in Europe’, at SPACE Gallery. IN SEARCH OF JUSTICE is a project that belongs to Prlja’s recent interest in national flags as representations of similarities and differences of cultures and national identities. She questions all prejudices and the validity of the passing of judgments, be it on a personal or a judicial level. The process of judgment of the national and religious beliefs of one culture by another, brings to the forefront the existence of a multiplicity of interpretations of any vision, questioning thereby the notion of a singular truth. The project encourages but also questions the possibility of co-existence. Hot Cold, Dren Maliqi, 2004. (K) Dren Maliqi works predominantly with site-specific projects, using words, phrases and slogans as key elements of the work. With the current focus on the art scene in Kosovo, Maliqi has gained an international reputation. Due to the simplicity and strength of his ‘art vocabulary’, key phrases from his work have been used as the title of several group exhibitions. The work HOT COLD refers to the co-existence of extremes. The conditions of hot and cold refers to the specific political context of the Balkans, where there is no middle ground, only opposites. 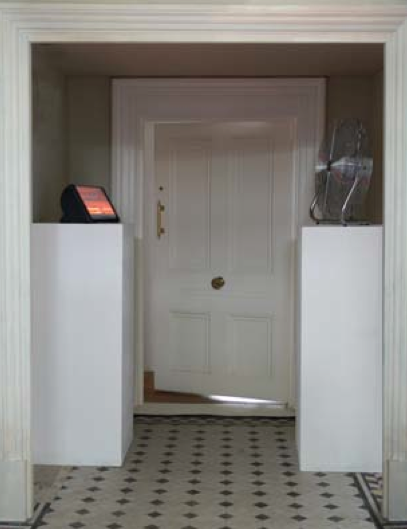 ‘Hot Cold’ is a simple but powerful installation in which the viewer searches for the middle point, the balance in a situation of ‘invisible’ extremes, which one must find instinctively, by way of feeling. The work explores, in a more universal sense, the instinctive human need for balance necessary for one’s wellbeing, and the continuous search for it. It is a balance that is reached only with the presence of the two opposites.